Seize the moment and reward your foremost performers whose leadership and dedication to your organization deserves a worldclass award of distinction. Solid black marble is the base supporting a spiraling 360� metal world that forever salutes your resourceful achievers. 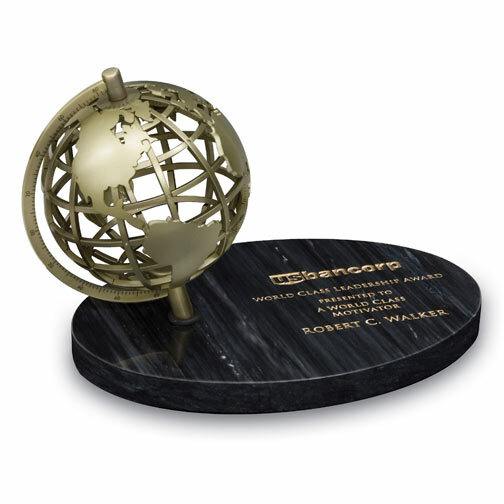 Quarry�s memorable Explorer recognition award will serve as a perfect reminder that honors those recipients whose accomplishments you sincerely appreciate. Presentation / Gift box included.